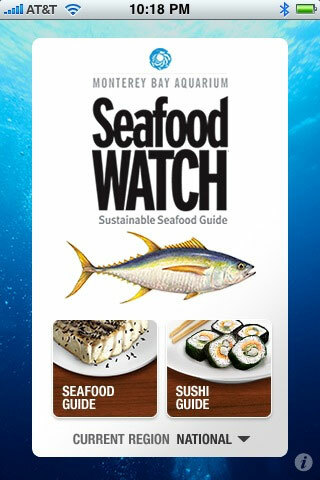 Humberto Kam, who heads up online communications for the Monterey Bay Aquarium, showed off some not-yet-public screenshots of the upcoming changes to its popular Seafood Watch app for the iPhone. The free app (screenshot above) has been downloaded 238,000 times and is used on average 2.8 times by each user. The new app will focus more on search — you type in the seafood you want information about — and less on listings. Seafood Watch has been focused on what to eat, “and we’re now moving in to focus on where to find it, too,” Kam said. You can follow Seafood Watch on Twitter (4,167 followers) and on Facebook (8,466 likes). We also heard from Letecia Landa, program manager at La Cocina (Spanish for “The Kitchen”), a nonprofit in San Francisco’s Mission district that helps individual entrepreneurs — chiefly immigrants and women with low income and few assets — start their own businesses. For example, Kika’s Treats, run by Cristina Besher, an immigrant from Brazil, makes coconut-flavored and chocolate-covered goodies with a Brazilian flair. “As is the case in many cities, food lies at the heart of this community and you don’t have to look far to find hidden entrepreneurs in the kitchens of many homes,” says a flyer handed out by Landra. Coming up: La Cocina is sponsoring a block party in the Mission on Aug. 21. Last year’s event drew 20,000 people, and this year’s should be even bigger. It’s the biggest fundraiser of the year for La Cocina’s 28 incubated businesses, some of which raised as much as $8,000 at the last event. It’s a brilliant, inspiring program, and Landra said they’re weighing whether to replicate the model in other cities. I was intrigued by the presentation by Matt Hatoun, co-founder of Wholeshare, a Web-based start-up due to launch this summer. The idea is to enable consumers to self-organize in local communities and place place bulk orders directly from farmers and growers.